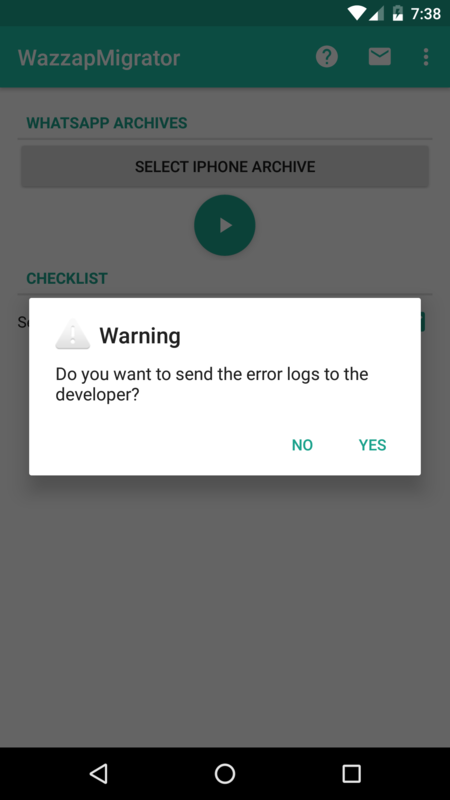 You can send me logs for troubleshooting like this. It's usually more valuable if you send it just after migration ended, even before exiting WazzapMigrator. Please note: WazzapMigrator values your privacy. 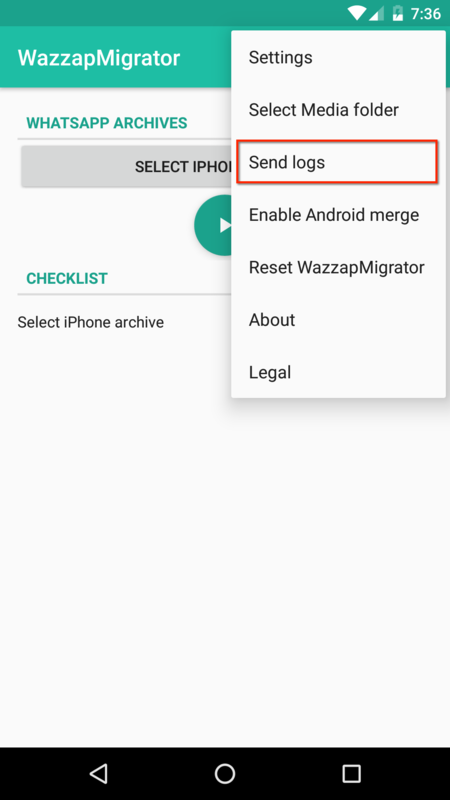 This means WazzapMigrator will open your email app (ie Gmail) to send its own logs but you'll need to explicitly press the "Send email" button. Warning: if you you're using a @yahoo or @hotmail email address please comment below after sending logs, as such email addresses are frequently marked as spam and don't get through. This way you can get confirmation your logs were received.